Some screen printers may not fully understand the importance of correctly drying the emulsions before exposure. This mainly effects the longevity of your stencil. It can be a bit confusing with dual cure and single cure diazo, so read below and start curing correctly. Degrease your screen, coat your screen and then allow it to dry horizontally with the print facing down. In any direct stencil work, prior to exposure, the diazo sensitizer is separate from the polymer chains. During exposure the diazo sensitizer creates cross bonds to the polymer chains and the emulsion gets it to strengthen. The screen must be completely dry before you expose it, otherwise the sensitizer will react with the water molecules rather than the polymer. The sensitizer will seem to get used up either way, you just want it to be used reacting with the polymer and not water. The increase of water will be hard on the stencil as well causing it to break down faster. 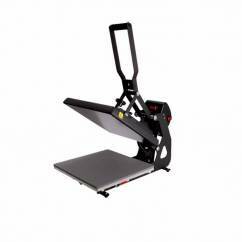 The MAXX Heat Press is offered in 3 different sizes with a digital time and temperature display and would be a great press for vinyl bags and all other heat press requirements. This model is Stahls most affordable press; made in the USA. You have the option of buying smaller platens, so that your bag can fit securely and snug, but it isn’t required. The MAXX has a wide opening for easy layout/alignment, making it that much easier to use. There are stock designs that you can purchase from Stahls or Horizon Products. Horizon Products will specialize in more of your custom design needs. If you plan on creating your own designs there are plenty of creative supplies to choose from: rhinestones, heat transfer vinyl, flock transfers, and screen printed transfers. CorelDraw and Adobe Illustrator are the two most popular design softwares. Once you learn how to use the software your designs can be used with vinyl cutters, printer cutters and you’ll have images that are 100% original. Choose the type of bag that will best suit your clients. 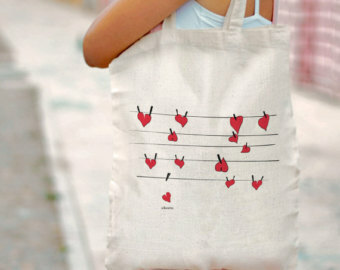 Totes, grocery/shopping, sport/gym bags and backpacks are the more popular choices. Make sure that you check the materials of your bags since they range from cotton, linen, polyester, nylon, polypropylene, and recycled. You want your design to be compatible with your bag shape and fabric. Keep in mind that recycled bags have a low melting point, so be sure to keep the heat under 300 degrees Fahrenheit and for only a few seconds…your materials will have to fit within those specifications as well. Thermoflex Xtra seems to be the best vinyl for recycled heat press bags. 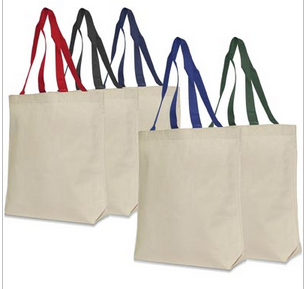 Mission Imprintables offers a wide variety of wholesale bags to make purchasing easier and more affordable. Teflon cover sheets that are 5ml thick. Mclogan’s makes it a priority to get Teflon sheets that are made in the USA and thicker than the average 3ml sheets. The 3ml sheets go bad after a few presses. 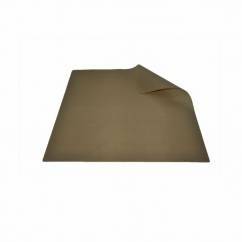 The 5ml sheets disperse heat evenly, are long lasting and ensure that your materials don’t get stuck to your platen. Heat transfer pillows made with 5ml Teflon to help absorb seams, zippers, collars or buttons. These pillows help to raise the fabric, so the heat will go evenly where needed. 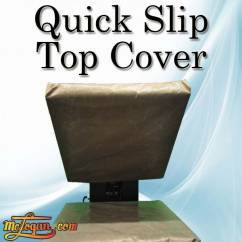 Quick slip top platen covers these covers make it so much easier to clean your platens, disperse the heat evenly, and further protect your press. 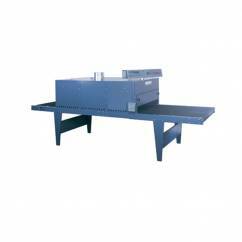 Heat presses have two platens, a top platen and a bottom platen. The top platen will administer the heat, while the bottom platen will hold your garment. 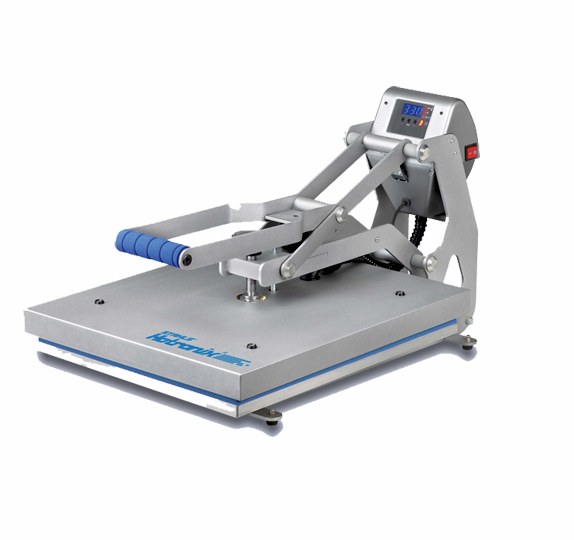 A high quality heat press with time, pressure and temperature settings like the STX Hotronix Auto Clam will be the perfect machine to get your jobs done. It’s best to buy the largest heat press, so that you have the versatility to design on a number of different textiles with the ease of a quick change platen. The auto clam style heat press has magnetic technology that auto-opens to prevent over application. As well as an easy lock down feature, so that you aren’t having to put too much tension on the wrists, elbows and shoulders with each press. Once you’ve purchased your heat press, next will be the design process. There are stock designs that you can purchase from Stahls or Horizon Products. Horizon Products will specialize in more of your custom design needs. If you plan on creating your own designs there are plenty of creative supplies to choose from: rhinestones, heat transfer vinyl, flock transfers, and screen printed transfers. After your design is cut then your next step is to pick out the t-shirt you plan to heat press. Popular types include cotton, cotton/polyester blends, 100% polyester, nylon, Lycra and spandex. 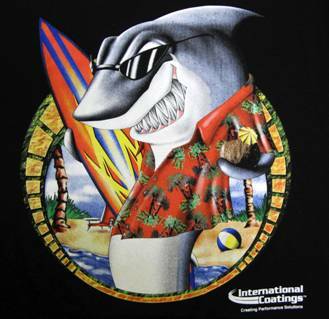 It’s best to order shirts at wholesale places from a website like Mission Imprintables. Some people recommend doing a 2 second press on a plain t-shirt before your actual design press, to ensure that your garment is moisture and wrinkle free. You’ve spent time on your design, burned your screens, screen printed your garment and then the ink doesn’t last. It slowly starts to wear off with every wash. What could have happened? Is it your ink? All water-based inks sold at Mclogans have been approved by our company and these inks have gone through many strict tests to ensure that we are selling you the best products. So when asked if the ink was at fault the answer is no. Curing water-based inks is what dries them properly, leaving you with a perfect screen printed image with a soft feel and a garment that will last. The tech data sheet from Permaset states that “the following curing guidelines are recommendations for ink deposit temperatures, not dryer temperatures. While this gives most screen printers a basic guideline time and temperature wise, these guidelines don’t always work for every job. We always suggest doing a test print before your main screen printing production. Lighter colored garments require a higher mesh count, since you will need less ink. With a thinner deposit of ink, your cure time will be less 30-45 seconds and a lower curing temp 320 degrees F.
Darker colored t-shirts will need more ink to create an opaque print. You will also need a lower mesh count. Cure temperatures will be around 375 degrees F for about 45-60 seconds. Ensure that the moisture escaping from the ink when cured is properly ventilated. This is where a Ranar forced air dryer is a must! Once you find the correct temperature and curing time for your test print, use temperature strips to keep your printing productions all uniform. While Mclogan’s praises itself on being able to teach the “Average Joe” how to screen print and make signs there is another option for people wanting to learn this trade just a block away. 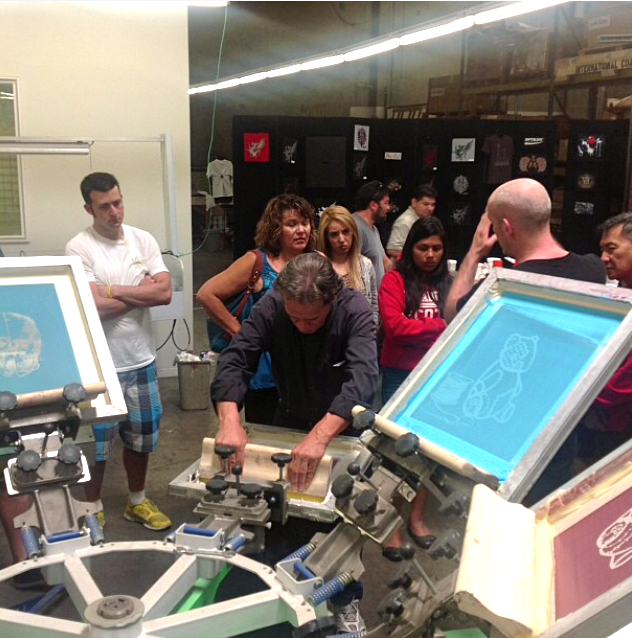 Los Angeles Trade Technical College offers screen printing as an elective in their Sign Graphic degree program. The screen printing program is comprehensive and teaches students how to take their artwork and burn screens, all the way up to half-tone printing and 4 color process printing. Bert Johnson, a graphic designer, and art director who has been teaching and training students for over 30 years. Every semester Johnson’s students are sent into Mclogan’s with a list of necessary screen printing tools. Mclogan’s enjoys helping the new students get their required tools, while taking the time to further explain the screen printing process. Above, Bert Johnson, shows a student how the clamp keeps the screen in place. With the right amount of pressure on the squeegee as it’s pulled, leaving the student with a clean print. Below are pictures of students working on their own individual assignments. The class is meant to compliment the Sign Graphics curriculum and teach screen printing as a prospective business and not as a fine art. The class is structured to give students experience in creatively solving potential problems that might come up with client requirements. In addition to using water-based inks, students use plastisols and other solvent based inks. They are alsorequired to print on several substrates so they understand the diverse applications for screen printing in a print production setting. A student’s completed signs using Permaprint Red B/S. | Permaprint used in students’ poster project. Permaprint Premium is a top selling waterbased ink for bright, eco friendly jobs. It’s really such a versatile ink where you can almost print it on anything. Bryce Arpin prints on canvas. | The canvas is cut down and made into patches for bands. 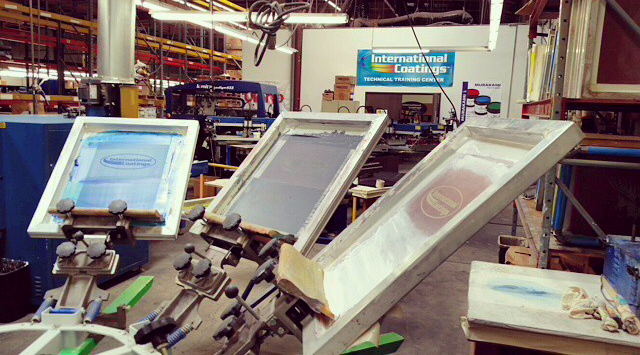 Whether you are in school or just learning the business on your own, stop by Mclogan’s LA and we’ll help you with your next screen printing project. Why Does the Plastisol Ink Crack on My Washed Garment? More than likely the plastisol has not been properly cured. Remember duration in the dryer is our friend. Many times printers maybe in a hurry, slow down. Most plastisol will cure when they reach a temperature of 320-330 degrees and sustain that temperature for 45 seconds to 1 minute. Some whites that have a fast cure designation will cure from 275-300 degrees and this will have to be sustained at 45 seconds to 1 minute. Make sure you check the technical data sheets for each ink line. There are two tools out there that will help you make sure that the plastisol is curing at the right temperature. The most common would be the temperature strips. Thermolabels # 5 are the most common sold with a temperature threshold of 290-330 degrees. Each package comes with 16 strips and each strip can only be used once. A little bit more expensive option would be a IR gun. When pointed at the print coming out of the dryer the IR gun will read the temperature of the garment on the LED screen. If you have a question about your inks, or the printing process call us at 818-718-0888. 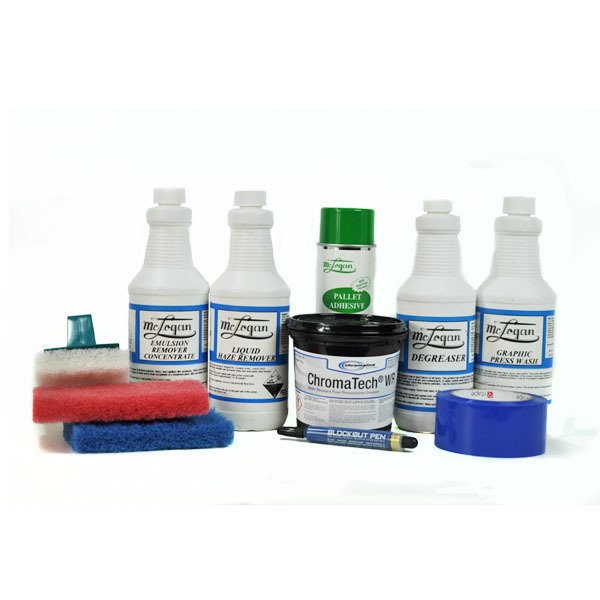 Now you can purchase all of your favorite Mclogan screen printing chemicals in the Mclogan Starter Chemical Kits. Great for screen printers new to screen printing that are looking for the materials they need or for our experienced printers who know and love the Mclogan products. Purchase by clicking here and let us know if you have any questions. Mclogan Chemicals are bought in large quantities from the top manufacturers to ensure that our customers are getting the lowest possible prices, but still the highest quality products that they are used to. In this blog we will highlight each chemical, how to use it and how these chemicals are the exact same as some of the brands you may be using. Mclogan Screen Opener is the same product as the Sprayway 957 Instant Screen Opener; use this spray to unclog your screens. This can happen when you screen print where your ink may begin to dry and get clogged in the mesh. Some screen printers also use this product to clean their squeegees. Mclogan Flash Adhesive (Super Flash Adhesive 384) when doing multiple color printing jobs flash adhesive is the best chemical to use when you flash your different colors. Regular adhesive will start to break down during an 8-10 second flash, which can move your shirt and then the colors/image will not line up correctly. Mclogan Spray Adhesive this is mainly for single color screen printing, or if you needed to secure your paper stock. Mclogan Degreaser product made by CCI. This is your FIRST step in screen printing to ensure that your screen is free of all grease before you put on your emulsion. Emulsion will not stick to any type of oil or grease. This degreaser is a concentrated liquid that will make 2 gallons per 1 gallon of degreaser. Mclogan Emulsion Remover Concentrate product by CCI. This is another concentrated liquid that will make 4 gallons per 1 gallon emulsion remover. After you are done screen printing use this emulsion remover concentrate to remove your emulsion. This will ensure that your screen is ready for it’s next job and application of the Mclogan Degreaser. Mclogan Textile Press Wash this product is made by CCI as an eco friendly citrus smelling screen wash. Prevent build up of plastisol inks on your screens with this wash, to ensure that you don’t stain your screen or get ghostlike images from your image print. Mclogan Screen Wash (Fast Open 032 Water Based Screen Opener) Aerosol can used for a fast and easy clean up after screen printing with water based inks such as Mazdar 9500 Series, Matsui 301 Series and Permaset Inks. You can not clean a screen with water that you’ve used for water based screen printing…it just doesn’t work. Add these cost effective chemicals into your shops and let us know if you have any questions. The additives discussed below are the screen printing waterbase additives for Nazdar’s 9500 Waterbase Series. These additives help most screen printers who regularly print with the 9500 Series. Read below to see what each additive has to offer to your next screen printing job. AQ51 Prepared Extender Base is an additive that can be mixed (about 5% per weight to the 9500 inks) to increase the amount of screen printing waterbase ink. When you over extend the ink by adding too much of the additive then your screen print will become too transparent. Depending on the look of the garment adding more or less of this base will give the different characteristics to the print. AQ53 Thickener is a liquid that increases the viscosity of the pigmented ink. Add small 0.5% increments to reach desired thickness. This additive will change the mesh count of some screen printing job. However, if your garment has ink that has bleed through the mesh then adding this thickener would solve that problem. AQ55 Softener is a product that will impart a silky, soft feel to the screen printed textile. Add 2-5% when printing onto terry towels, which is a common screen printing job for this additive. AQ56 Penetrant will help to aid in penetration to have a screen print on both sides of a textile (ex. golf towels). This additive works best when added at a level of 2-5% by weight and will help to print on difficult garments such as looped/sheared terry cloth towels. Note that the image of the print, where the ink was first in contact with the material will still be slightly brighter in color than the second image where the ink penetrated through. 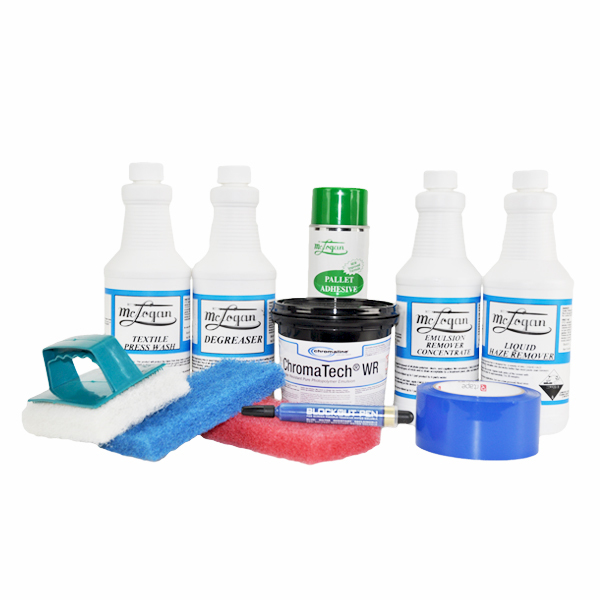 To see where you can purchase these additives click here or call us today.